Image was the first Slalom design to move the cockpit well forward, to make break-outs and gate entry faster. Government cut back's in Outdoor Recreation expenditure caused the closure of Brindley Road and consolidation of the business to Marina Village. Ravi expedition - Northern India in Pyranha Storms. Team: Allan Ellard, Mike Abbott, Jonny Pearson and Bob Marchant. 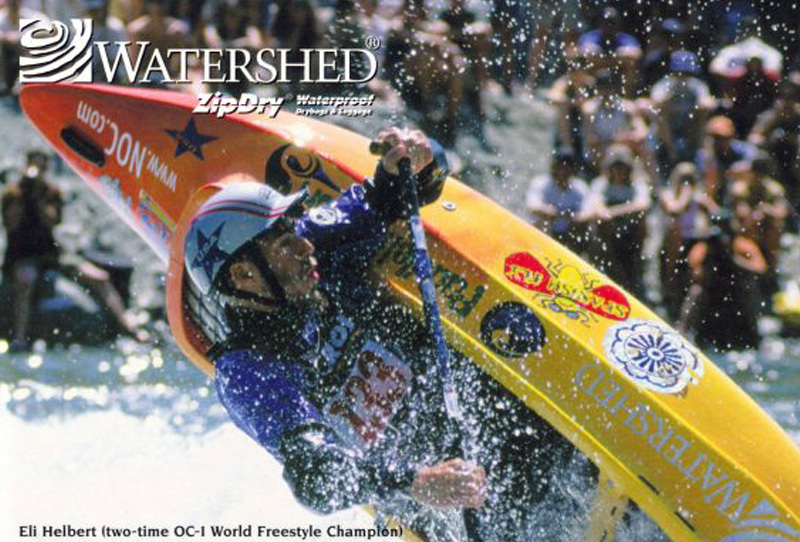 Paul (Cheesy) Robertson C1 World Freestyle Championship, New Zealand in an InaZone. Pyranha US was formed to look after the development of US business. First British descent of Arun gorges, Everest, Nepal using H2's. Arunachal Pradesh, North East India, Brahmaputra Tributaries in H3's. Team: Allan Ellard, Mike Abbott, Marcus Morse, Benajmi Hjort, Shalabh Gahault. Drangme Chu, Bhutan. First official descent. Team: Mike Abbott, Allan Ellard and raft trip lead by Dave Allardice. Pyranha are the first to build Power Pockets into the deck, for improved aerial performance. First white water expedition to Greenland. Burn. Team: Si Tapley, Ali Marshall. Founded in February 1971 Pyranha was set up in the family garage, but within a month had found a 1,000 sq. ft workshop at 23, Poachers Lane, Latchford, Warrington. 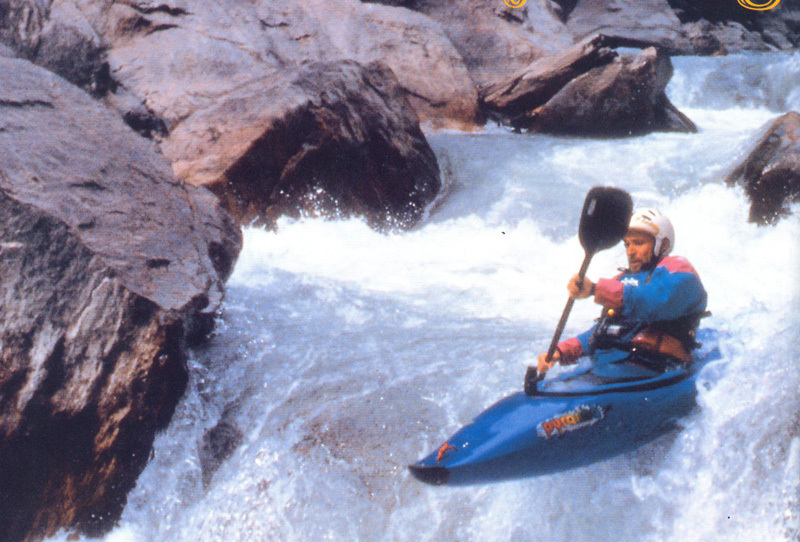 The kayaks manufactured, followed the main market demand for slalom, marathon and all round kayaks, and the small company of 3 people began to grow with the production of G.R.P. 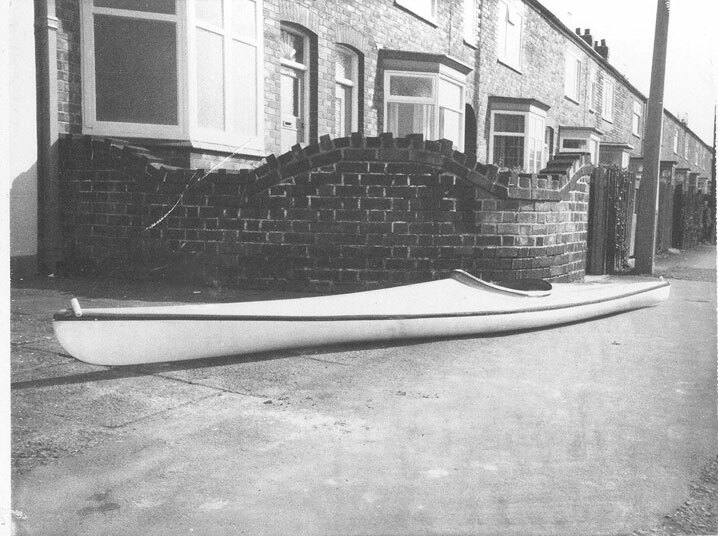 Preslmeyer Phantom an Austrian River Racer Graham had been building with others from his Canoe Club, and the 4th Warrington Senior Scouts. 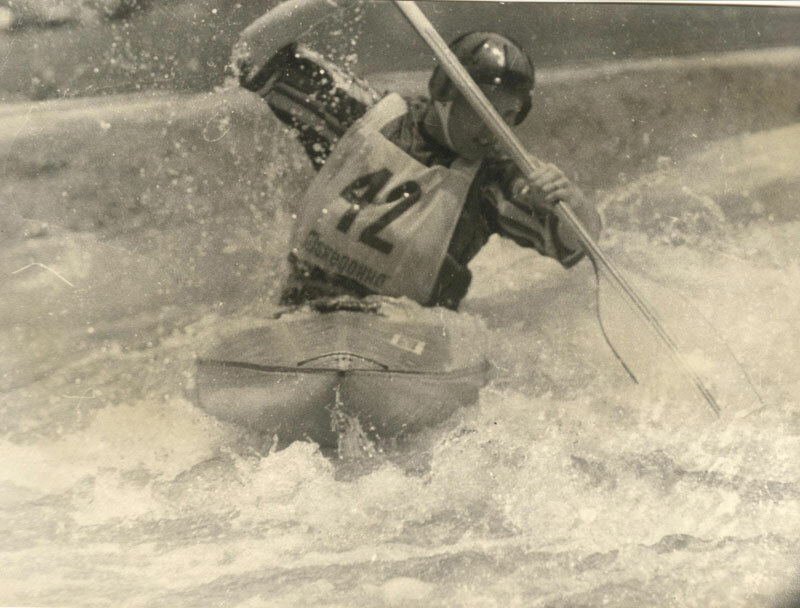 At Easter 1974, Pyranha introduced a new Slalom design the Vedel at Grand Tully Scotland in which Tony Young took it to 6th place, and it was then that the decision was made to get to the top of Slalom and White water manufacture of Kayaks. Pyranha start to show its design, and advanced composite construction potential that lead to International success in Slalom. 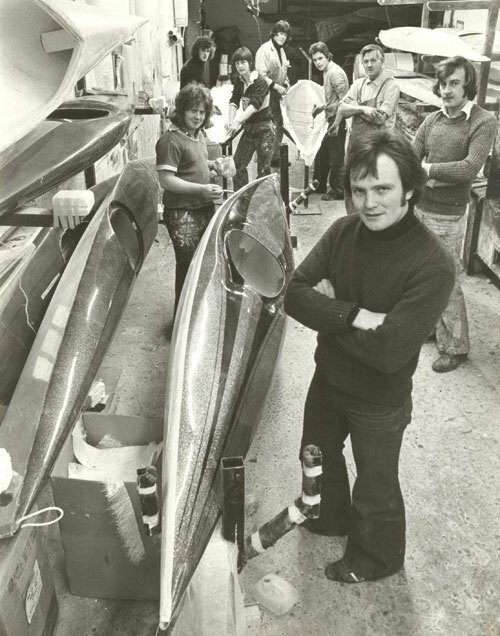 The Vedel 65K achieved 7th (Nicky Wain)& 8th (Alan Edge), at the first World Championships that Pyranha craft had participated in, and was the first successful British design for several years. The Everest became Pyranha's first serious white-water design, and was the first to use externally re-enforced glass seams and have camera deck mountings. 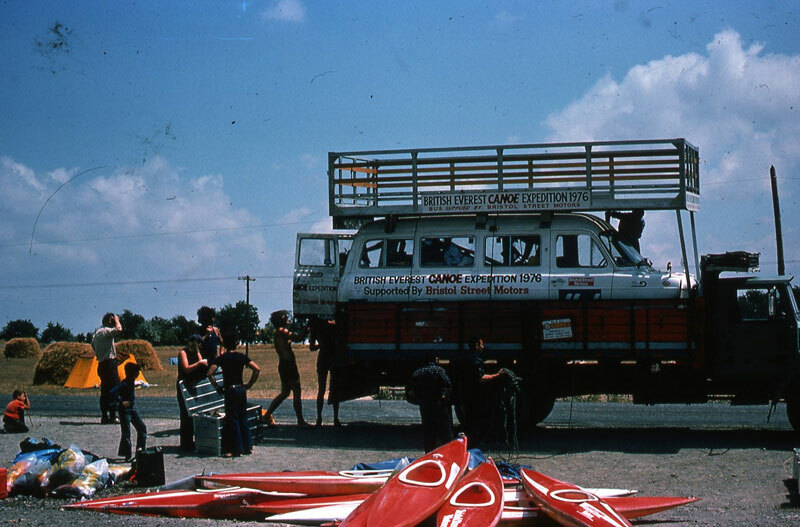 The story of this epic first conquest of Everest's river, the Dudh Kosi, and the hour TV documentary that followed is a major part of canoeing history. 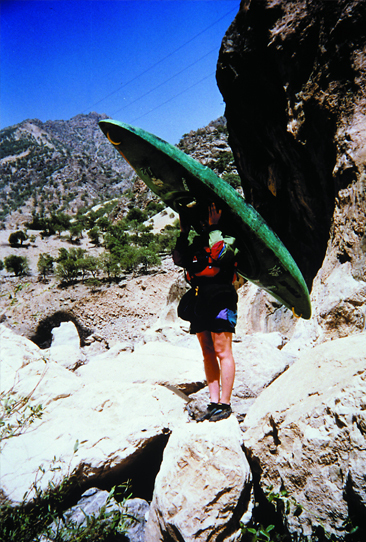 Mike's trip was the forerunner of many International Expeditions. Pyranha's philosophy became, and still is to build boats to "Play the River". Albert Kerr was the first to win a World Championship in a Pyranha Elite Equipe. 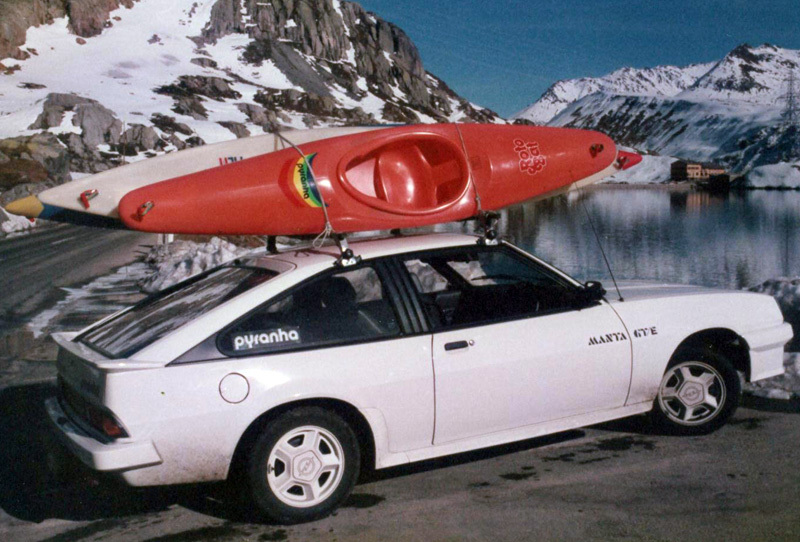 This radical design was the origin, by progressive refinement of today's slalom designs. 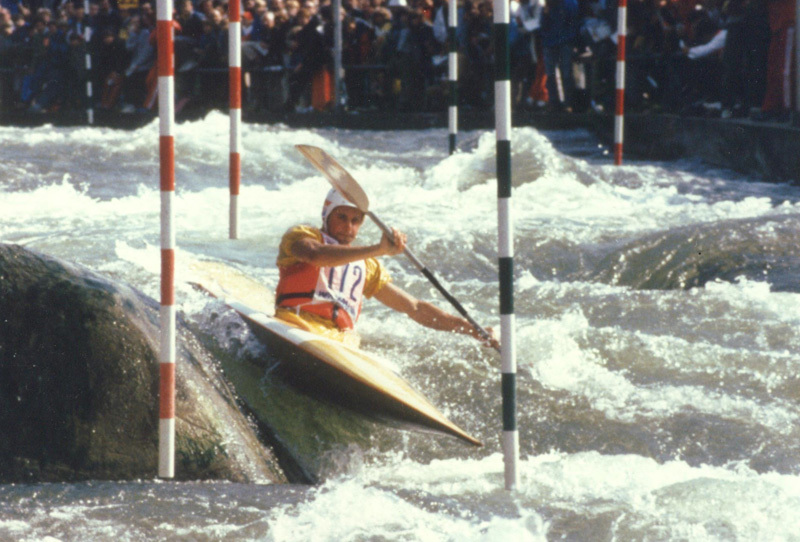 Since that memorable success, Pyranha kayaks won the World Championship on every occasion for a decade. Manufacturing moves to Marina Village in 1979. 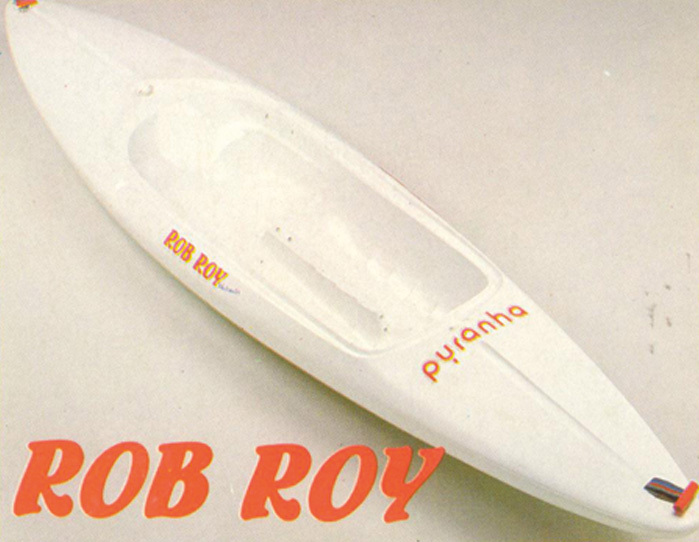 Pyranha were always on the lookout for a faster way to build boats at lower cost, and saw it in LPA plastics River Chaser that was seen at the 1979 World Slalom Championships in Canada. An exclusive contract for Europe was established with LPA and Perception, though only LPA honoured their agreement. 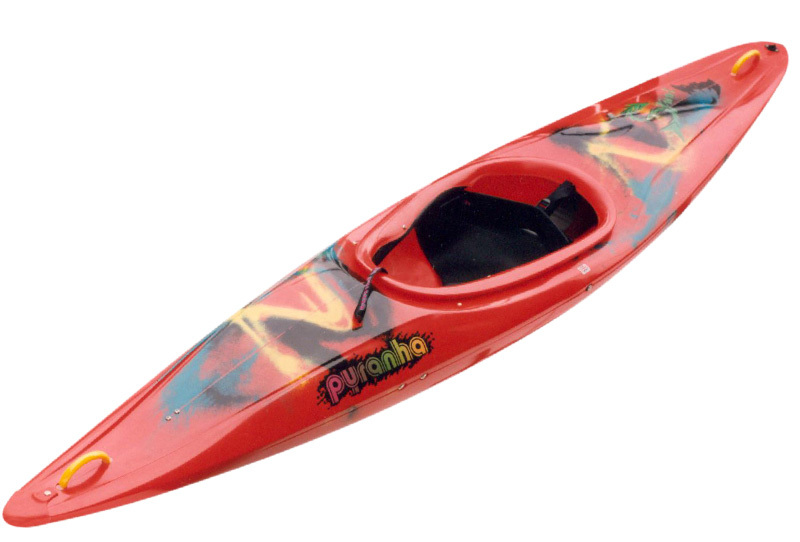 Pyranha again launched market leading designs with its first PE play kayak, the Freestyle. 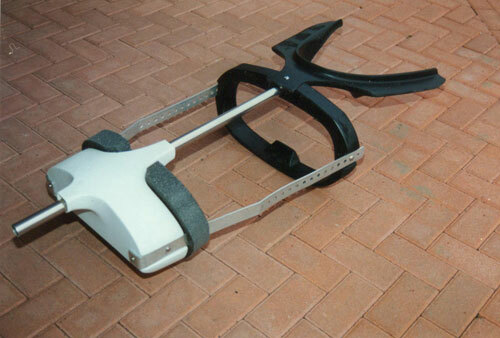 Moulded in Cross-linked PE, this was a lower line and high performance design that had many innovative features, including the impact absorbing full plate footrest. At the time it was thought that the Freestyle had the first large keyhole cockpit. This was a significant factor in helping the BCU decide to endorse it. 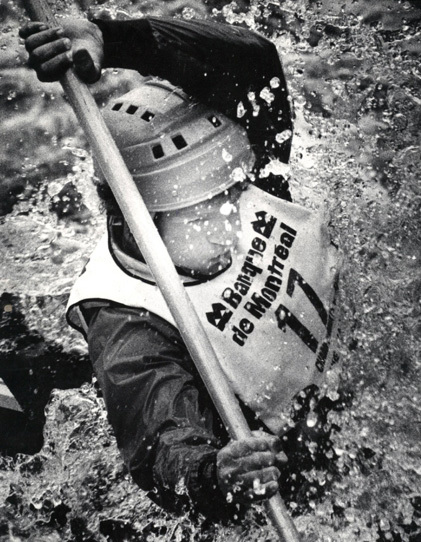 The ROTOBAT is the Worlds first Pool and first super-short whitewater play kayak, and the kayak used for many World Rolling Records -these included 100 in 2min 39, and 100 hand rolls in 3 min 23 secs. For pool use the polo kayaks of their day got hard use. From the day it was launched it immediately went on a 16 week waiting. 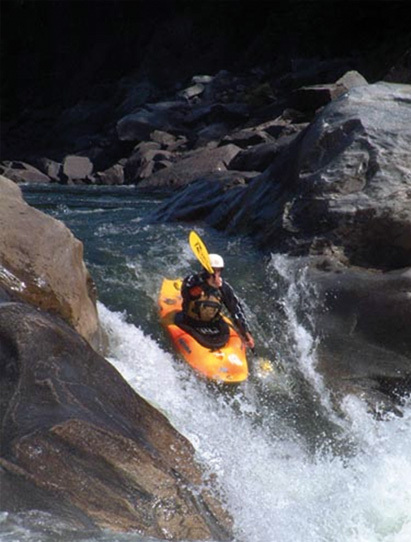 Soon its original use was almost superseded by its potential on whitewater. 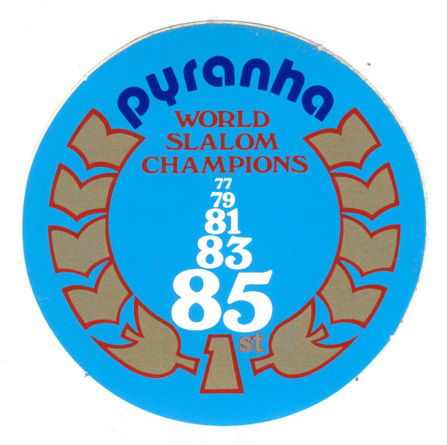 Pyranha decided to withdraw from top competition in 1985 after Richard Fox won his 3rd individual Gold in Augsburg. 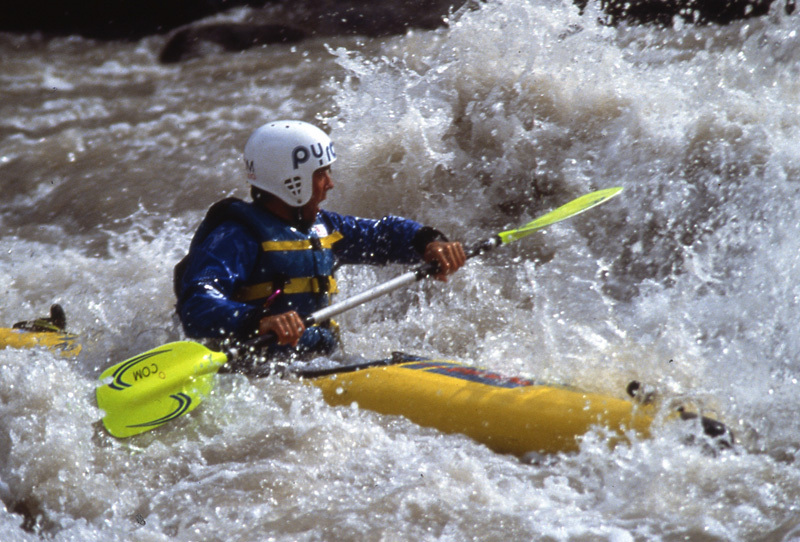 At that event, more than 70% of the kayaks were built or designed by PYRANHA. Team: Gerry Moffatt, Dave Manby, Mick Hopkinson, Mike Hewlett, Ross Purdy, Guy Baker and Cam McLeay. Pyranha produce the Worlds first kayak with a double concave hull, the ACROBAT, for higher wave speed and greater precision. The Acrobat also featured an adjustable seat and thigh-grip. The first WW kayak with side draining cockpit and retractable skeg. Pyranha are the first manufacturer to make seats and thigh grips adjustable, and with adjustment for the back band on the thigh grip. The INAZONE 220,230, & 240 - Heralded as design of the Decade. 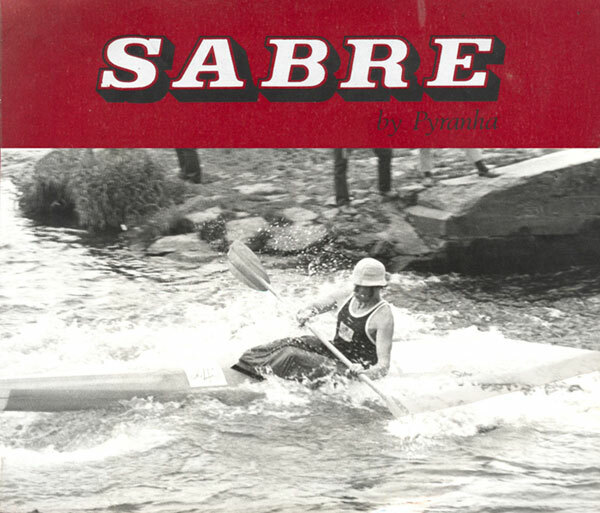 Pyranha were also the first to mould an Armourtec Canoe in the World. 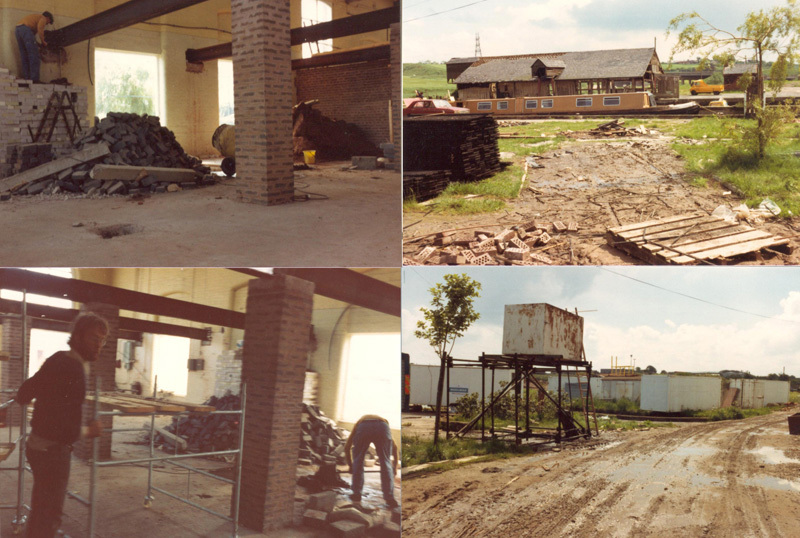 Manufacture of most products moved to the Rivington Road Factory. Offices and Development stayed at Marina Village. 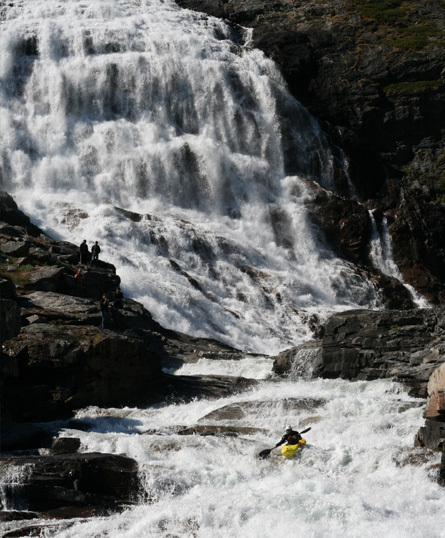 Allan Ellard makes first descent of Double Drop in Norway using the Pyranha H2. Eli Helbert wins OC1 World Freestyle Championships in a Spanish Fly. 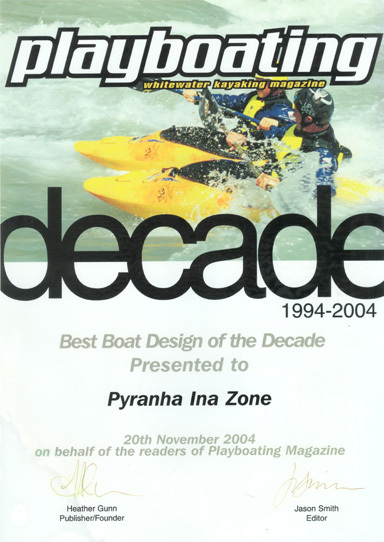 In 2003 Dave Patrick founder of P&H decided to retire and called to see if Pyranha would buy the business and help take P&H Sea & Polo kayaks to the next level. We couldn't have been happier to take on this responsibility, and have the opportunity to introduce new and exciting products to the great products and reputation from its very skilled workforce. 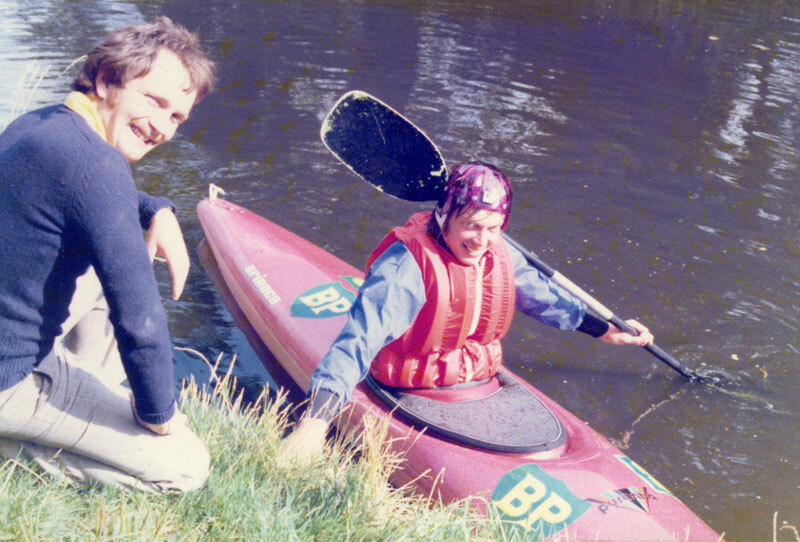 P&H have been Sea Kayak leaders for many years with paddlers such as Derek Hutchison choosing them for very long crossings, such as the North Sea, and expeditions to the most extreme Sea areas to their credit. P&H continues to lead, with the latest designs such as Cetus, Scorpio and Delphin. 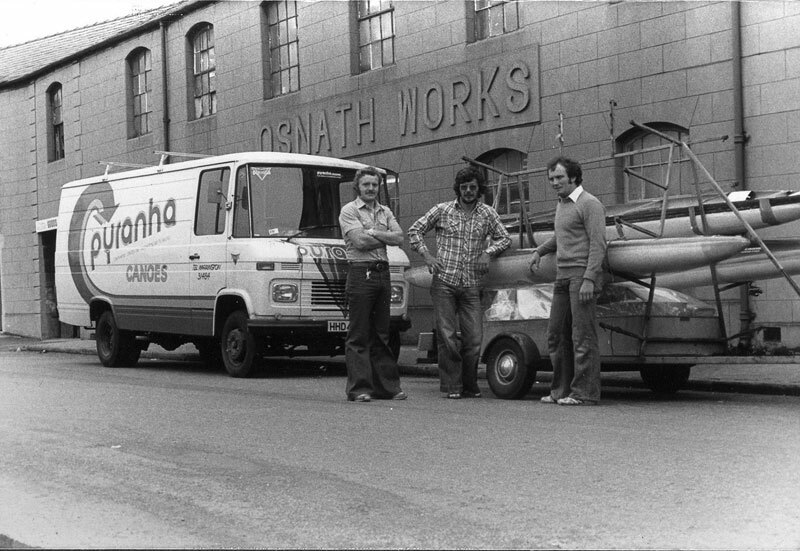 Soon after the incorporation of the P&H Brand, Pyranha took over Colin Broadway's Mobile Adventure Brand as he needed more personal time. Whilst run for a while as Mobile Adventure, for the development of the brand we decided to simplify the name to Venture Canoes and have since developed its kayak sister brand, Venture Kayaks. 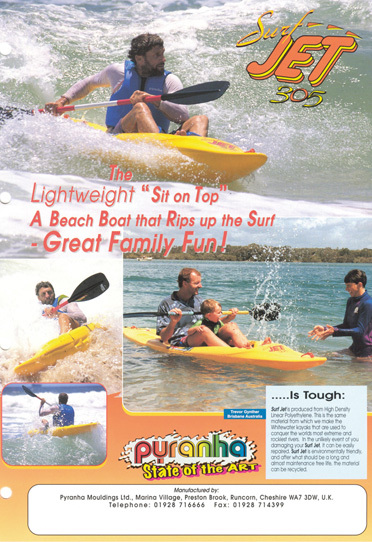 Both brands taking advantage of our leading technology, but are focused on higher volume, and a specification that is focused on the greater part of the market, which allows Pyranha and P&H to focus on the very best that they can be for white water and for sea kayaking. Arunachal Pradesh, India in Burn's. White water expedition, exploring the southern point of Greenland. Burn & Everest's. Team: Si Tapley, Ali Marshall, Mike Scutt and Graham Milton. Helen Barnes breaks hand rolling Guinness World Record in a Rotobat. Pyranha is now a team of 70 people, with greater skills and resources. The Pyranha Brand is recognised around the world. Production has risen year on year to over 11,000, and the Garage has developed in to a Factory of 50,000 sq ft, plus the Design and Heritage Centre, and Pyranha US Warehouse. We are almost unique in still being a family business, and still run by our founder. Pyranha's competitors are now largely corporate, where interests are very different to the passion that drives Pyranha & its Brands. Pyranha has always recognised that its function is to provide better craft that will enable its customers to achieve their personal dreams. 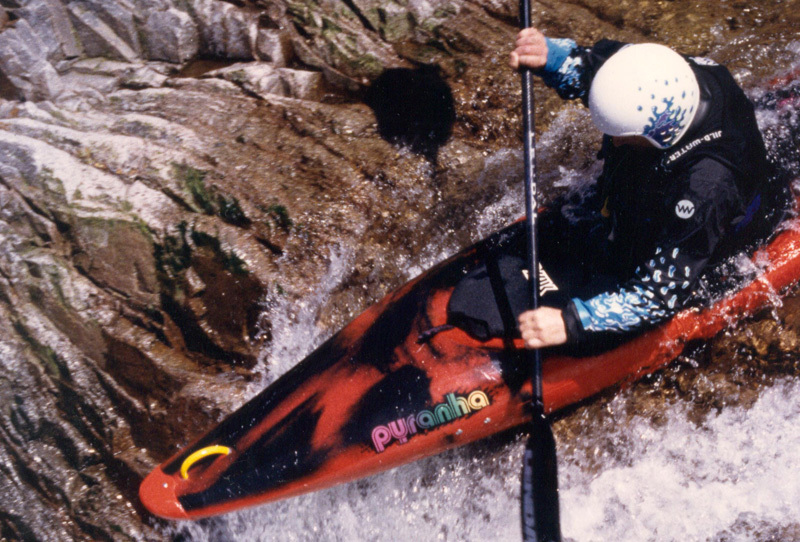 Growth and success have come from leading by design, and making more exciting and safer canoes and kayaks that have made Pyranha first choice for paddlers. 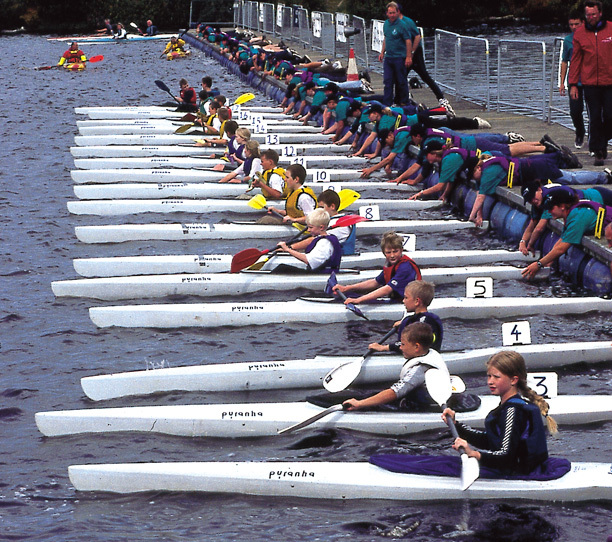 Pyranha's key team have always been paddlers so this has mostly been achieved by listening, and applying paddlers needs to evolving technology, logical progress and some inspirational foresight. Pyranha has been a great name for our business. We're aggressive and we're focussed on being the best. We do not try to be the cheapest, but to design and make the very best for the market sector. We use the best materials, and technology, we don't cut corners that others can, even though it can be harder for the consumer to see the difference. Why because we paddle our own canoes and kayaks, and we always are wanting to paddle further easier and in greater comfort and safety. 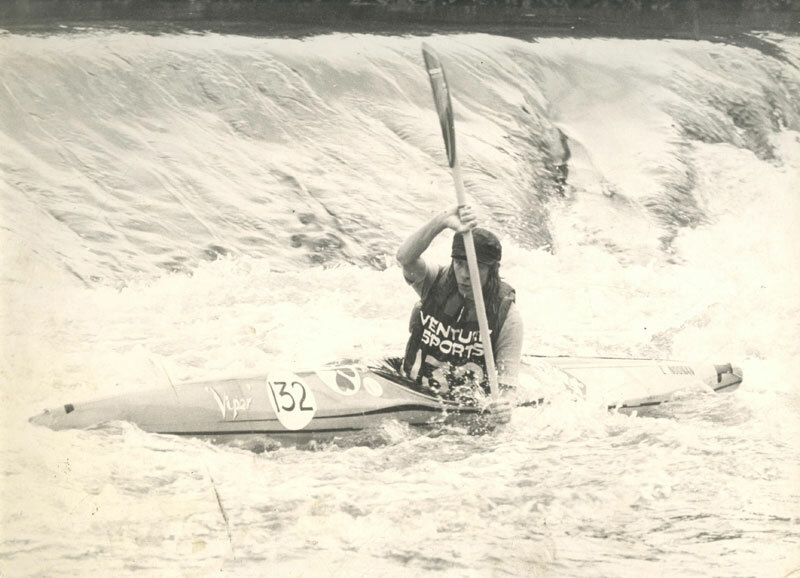 We are proud to have worked with many great paddlers, and to have developed higher performance and safer kayaks for canoeing, and we are very proud of everything we have achieved but we know the best is yet to come. 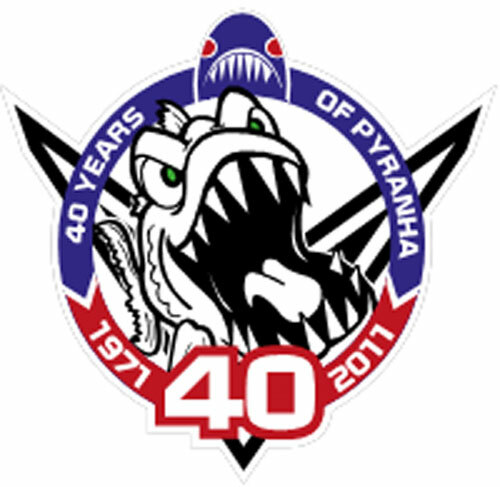 Pyranha's first commercial design was the Trident and then the Marathon Racing Sabre, with which Dave Lawrence (Royal C.C.) won the first of many National Championships that first summer. 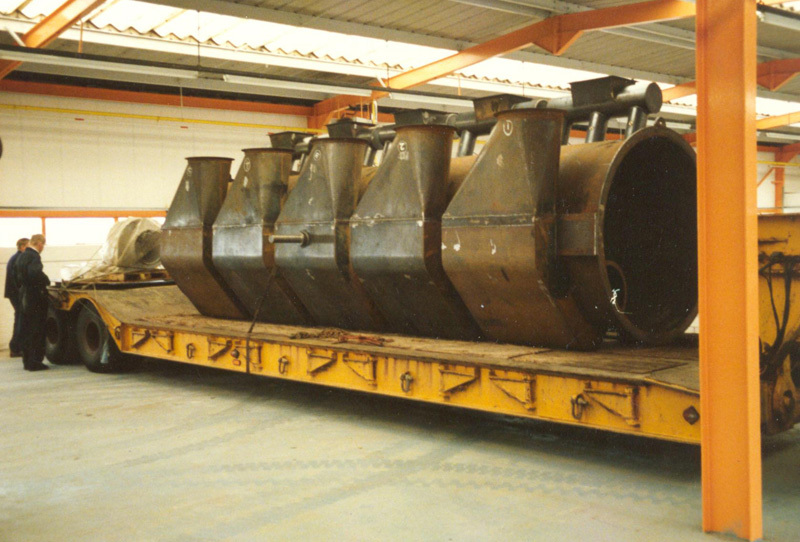 Pyranha manufactured craft in basic GRP and then advanced composites from 1971 to 1985, using carbon fibres in 1971, Foam sandwich in 1972 and Kevlar with epoxy in 1974. 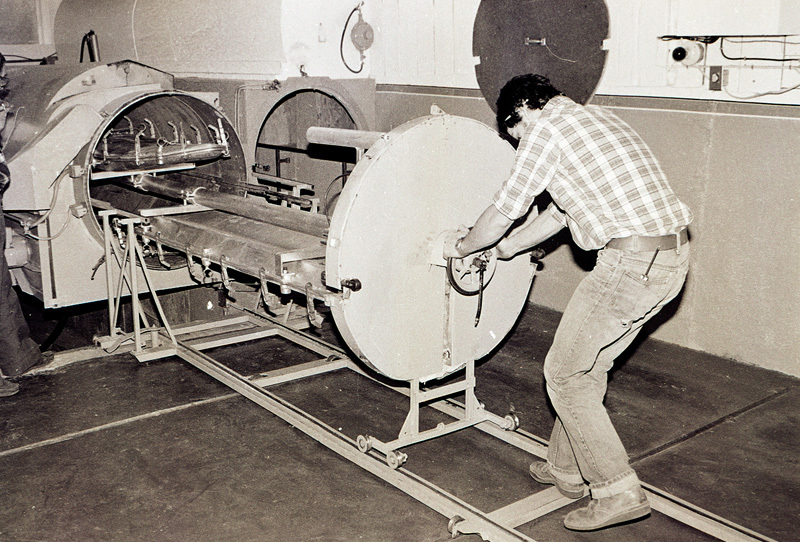 The original bucket and brush techniques evolved where appropriate to vacuum bagging. 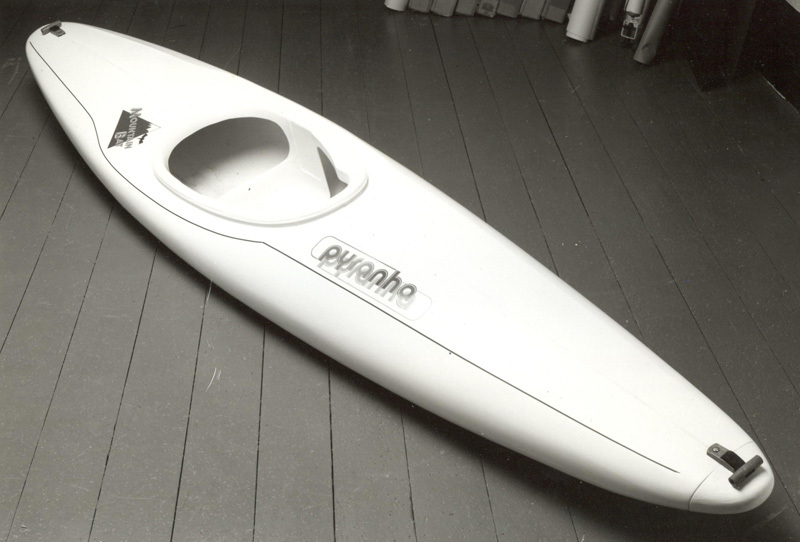 Pyranha were the first to use Sprint K1 hull shape for W.W. Racing with the Viper and Bullet 1. 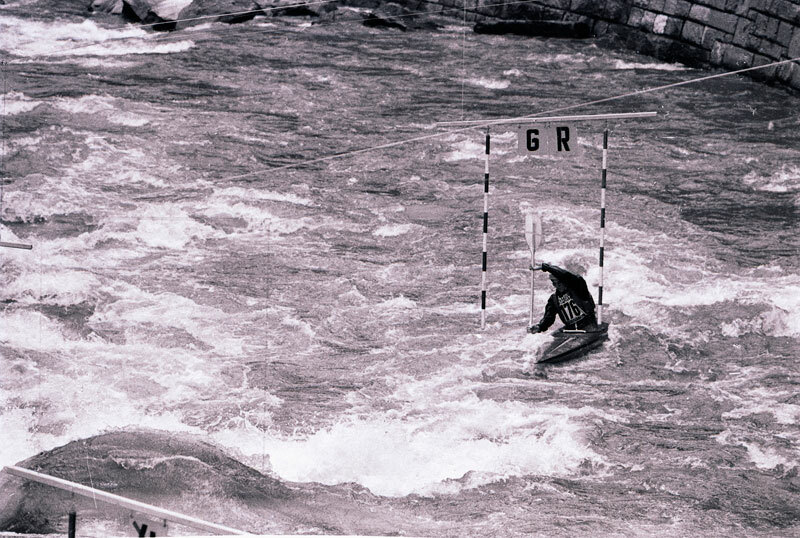 Too radical in their day, as most paddlers were slalomists and found them unstable, they are however the norm now. Manufacturing moves to Osnath Works, Lythgoes Lane, Warrington. Pyranha begin to use Kevlar with epoxy in composite construction. 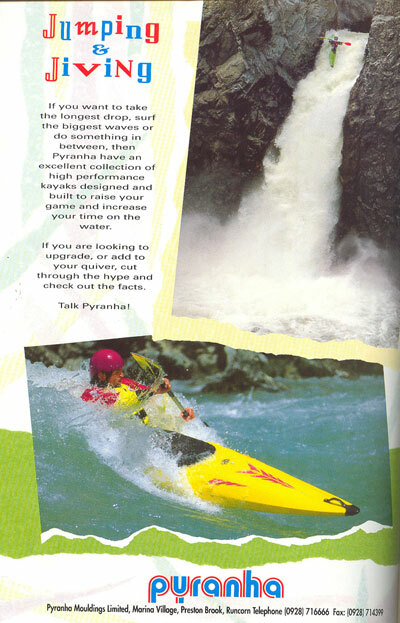 At this point the development of white-water kayaks and slalom kayaks went their separate evolutionary routes, and Pyranha developed the strength and confidence to take bold development leaps forward. 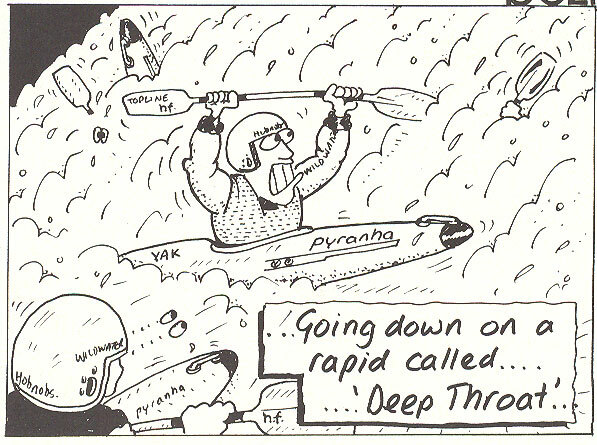 Pyranha worked hard with its leading paddlers to develop better kayaks, and also learnt from sad accidents. Amongst the developments were progressively larger key hole cockpits and bigger high volume ends for white-water, with positive hydro dynamic shaping to enhance lift. In the Fibreglass Orinoco. Team: Mike Jones, Dave Manby, John Gosling, Pete Midwood, Ronnie Kennedy. 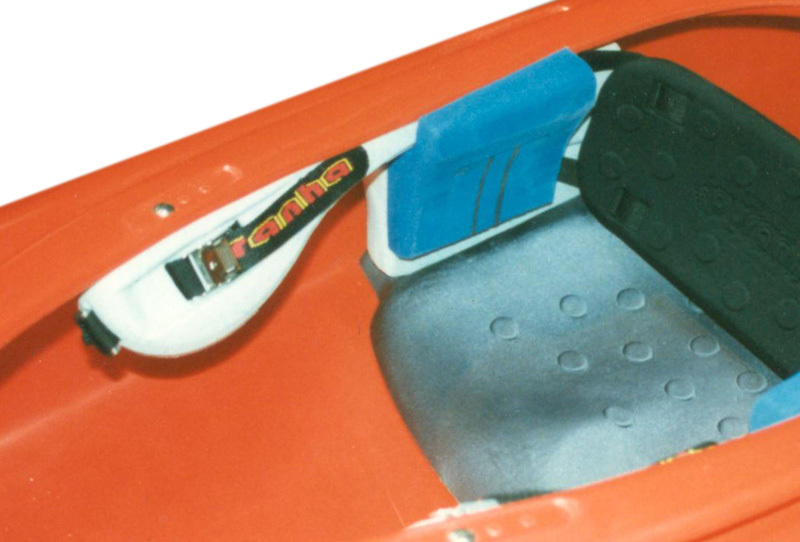 PYRANHA were the first to market POLYETHYLENE kayaks and make them available in Europe, and since then have developed, what is still the most advanced computer controlled MTZ Rotational Moulding Equipment. 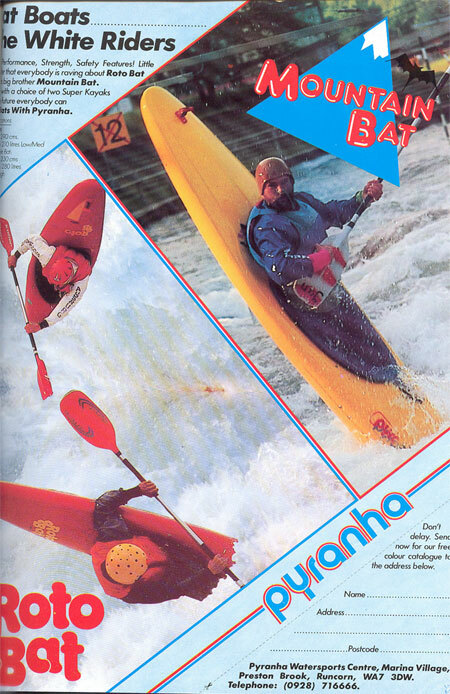 It was in 1979 that Pyranha were the first to make polyethylene kayaks popular in Europe. 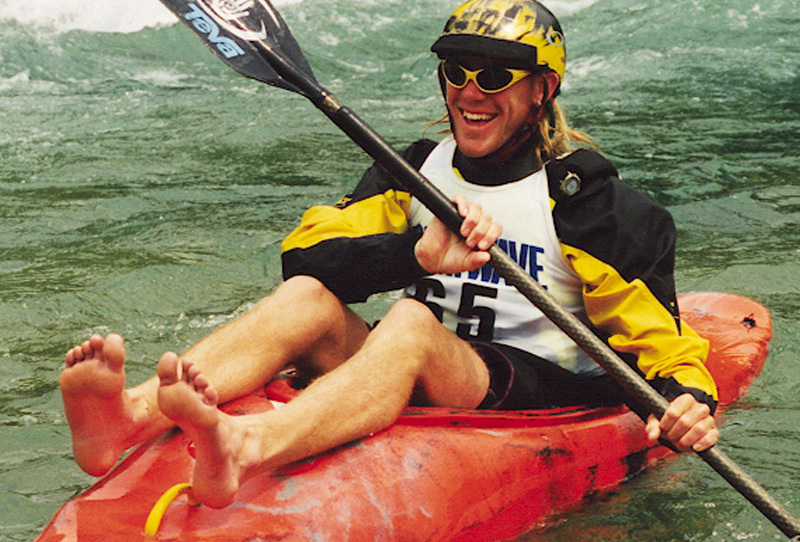 The extreme toughness changed White Water paddling for ever. For Pyranha opened it up the possibility to take advantage of its design and performance building potential. 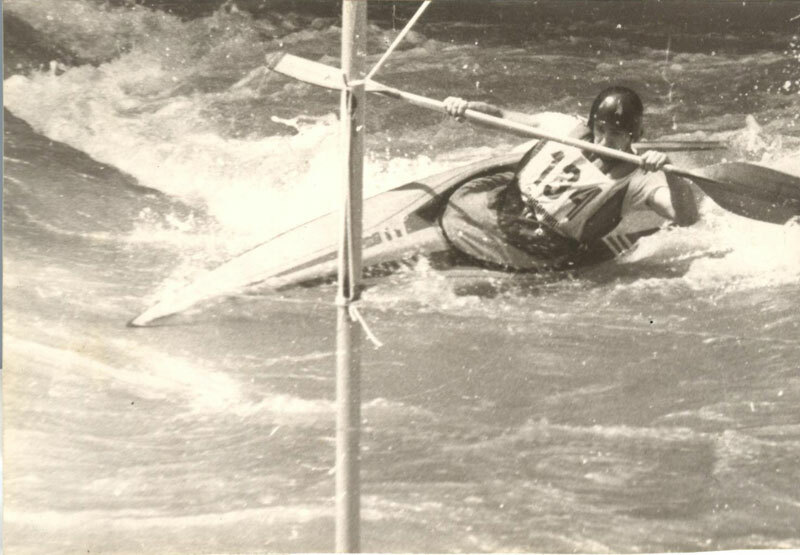 1979, 1981, 1983 and 1985 - Pyranha Kayaks were used to win World Championships. 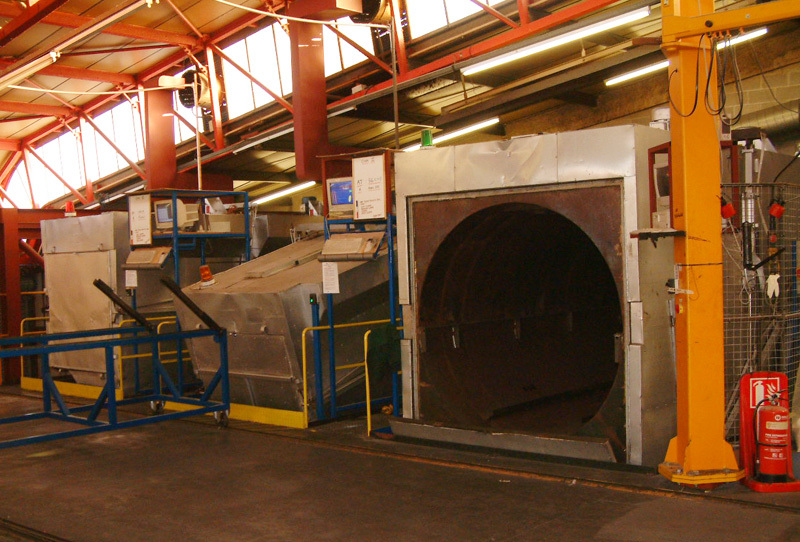 Production moves to increase numbers and make the polyethylene sandwich Traveller. Pyranha develop the Mountain Bat Safety Cage. 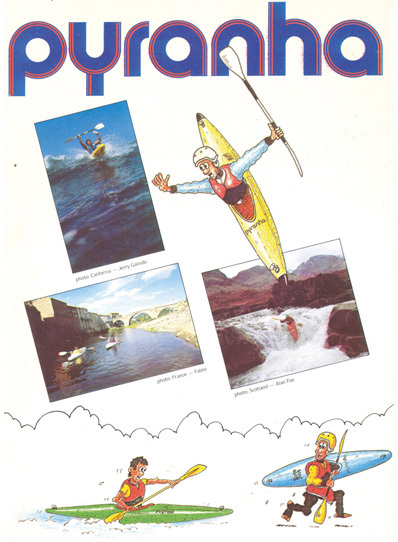 Pyranha advert in Canoe focus August 1993. 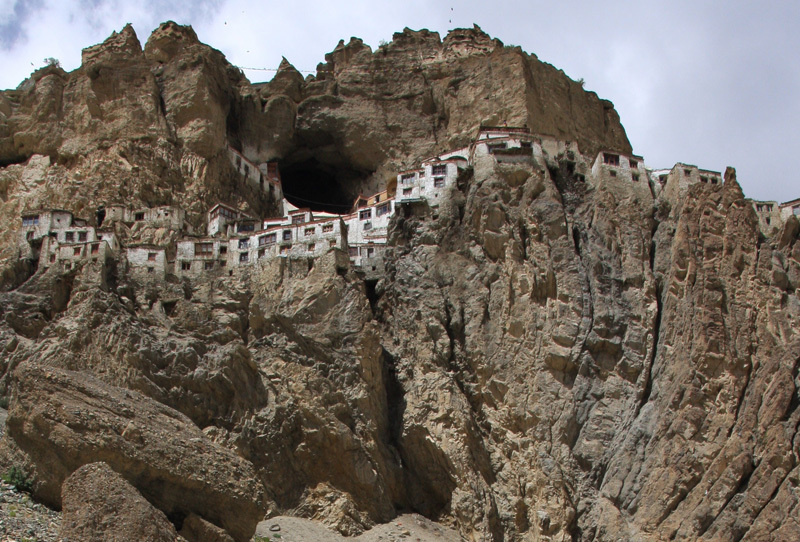 Tsarap / Zanskar trip - Ladhak - Northern India [AcroBat & Micro Bat] Mike Abbott, Allan Ellard. Despite Pyranha being officially retired form top competition we nevertheless got interested in Freestyle competition. Pyranha's canoes continue to win World Championships in Freestyle. 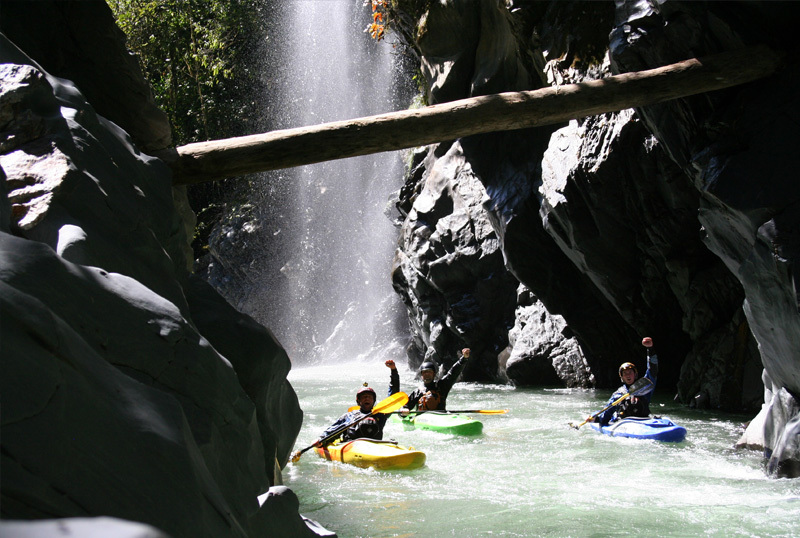 Bhutan Expedition - Mike Abbott and team explore the rivers of Bhutan in search of commercial rafting possibilities. 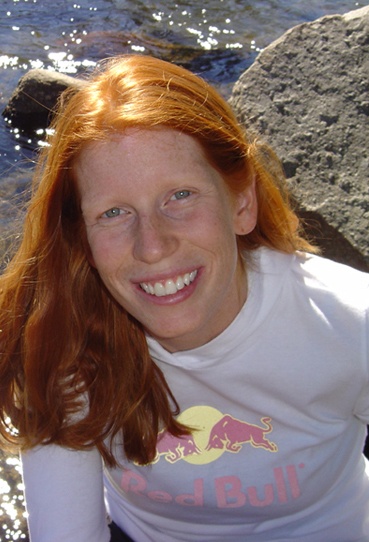 Womens World Waterfall record - Shannon Carroll set the record on the 78-foot Sahalie Falls on Oregon's Mackenzie River. 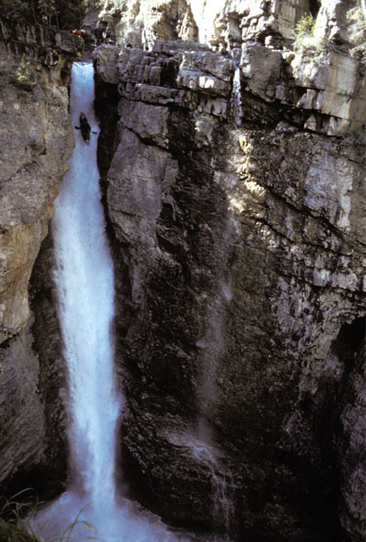 Mens World Waterfall Record - Tao Berman breaks the World Waterfall Record on the 98ft Upper Johnston Falls in Banff. 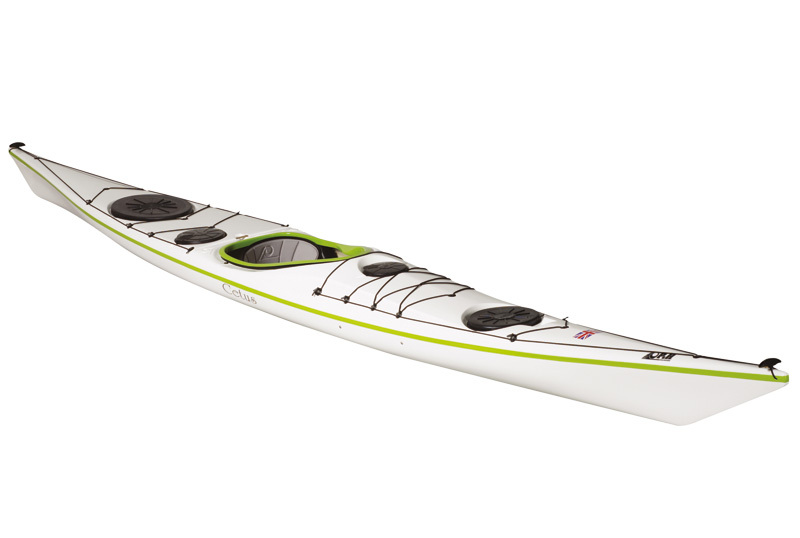 Best new kayak - The Pyranha LIGHTNING is awarded best new kayak at the Internationl Canoe Exhibition. 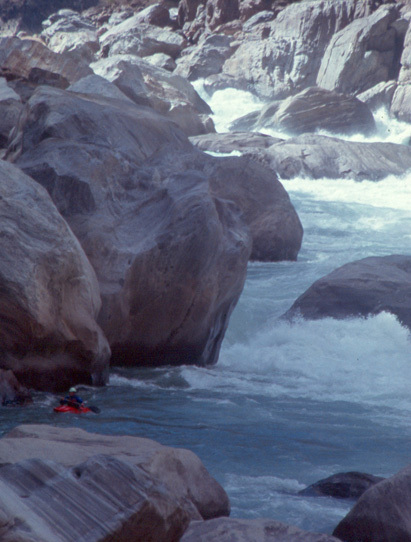 Sutlej Expedition - 1st Descent Upper reaches, Northern India in Pyranha H2. Team: Mike Abbott, Allan Ellard, Jonny Pearson, Andy Phillips, Scott Lindgren. Iran Trips - Dave Manby runs trips to Iran Dez, Bakhtiaria and Sezar Rivers, Iran. Tsangpo Expedition in H2's. - Team: Allan Ellard, Mike Abbott, Scott Lindgren, Willy Kern, Johny Kern, Dustin Knapp, Steve Fisher. The Immpossible River - Myanmar - Mykha River in Myanmar (Burma) 1st Descent using i4s. Team: Mike Abbott, Allan Ellard, Dustin Knapp, Steve Fisher. 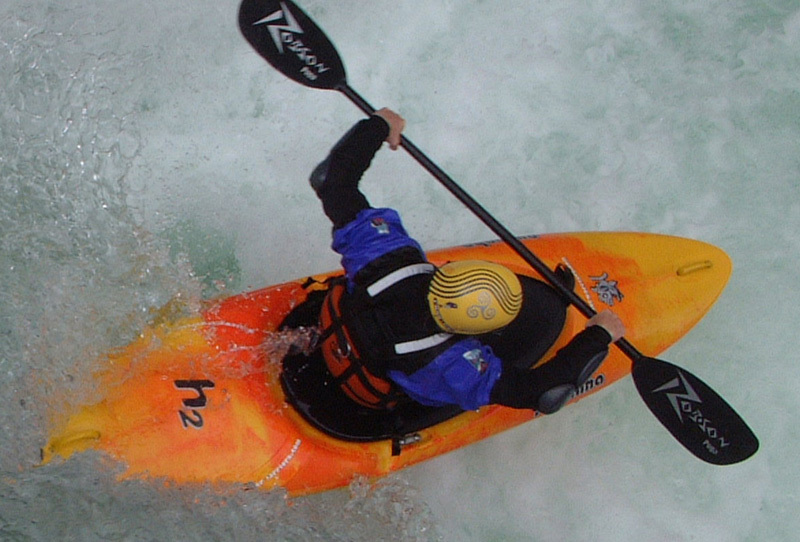 P&H Cetus - Development of the P&H Cetus as a new breed of Sea kayak using white water design thinking. 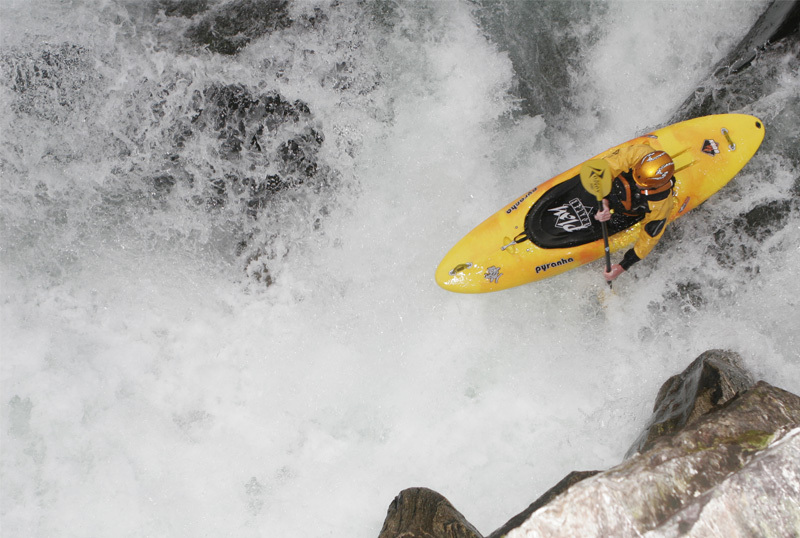 First descent of Rio Concebidayoc, Peru in Burn's & Everest. Team: Adam Harmer, Pete Catteral, Jon Spike Green and Paul Cripps. Offices and Production move to a new "State of the Art" factory for Advanced Moulding Technology and Carbon Reduction at Premier Point, Runcorn. Pyranha begin production from a new generation of MTZ machines, taking QC and minimum Carbon Levels to a unique new standard for our industry.